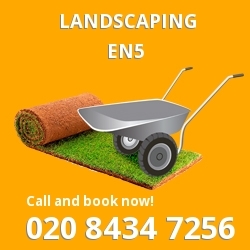 With an extensive training record and many years of on-the-job experience, our gardening professionals in EN5 are experts at designing and landscaping all sorts of garden styles. So if your garden is in need of a makeover, our gardening experts are the ones for you. Skilled at garden design and garden landscaping, our team in Barnet can create anything from a relaxing oriental retreat to an English cottage delight and will always give you a garden which suits your design brief. So if you want an immaculate lawn or a playtime treat for the kids, our Barnet team can design something to suit your exact needs. Every time the season changes, your garden in Barnet changes with it. Whether your trees start to flower, your apples start to ripen, your leaves start to fall or your lawns freeze over, every season has its own gardening challenges and beautiful features. Our gardening services across EN5 cover all aspects of these seasons and can take care of your spring planting, summer lawn mowing, autumn leaf clearance and winter lawn care. So if you want to make sure that you enjoy the best of your garden all year round, book in a seasonal service from our expert team today. 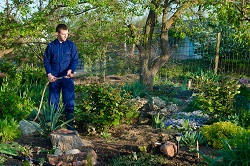 All of our gardening services in Barnet are available on a flexible basis and can be booked at short notice for any of your emergency needs. So if you’re concerned about any dangerous or overhanging trees, or if your plants look like they’re about to die off, call our gardening team covering the EN5 areas for some professional help. All of our gardening experts are fully-trained at tree-felling and can remove any unwanted branches or trees as and when you need. Our specialist weed control and lawn care teams in Barnet are also on hand to help with any unwanted perennials and can keep your lawns looking their absolute best. Do you want a lush, green lawn for your garden design? 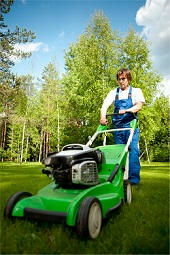 Then book our lawn care team in EN5 for some advice today. Our lawn maintenance team are experts at diagnosing issues with your lawn and can suggest a lawn restoration and repair treatment which will overcome them all. With our expert help for the Barnet area, we guarantee that your lawn will be weed-free, nourished and wonderfully thick in no time at all. As part of our ongoing local garden maintenance, our Barnet team can even take care of your regular lawn mowing so that you can focus on enjoying your outside space. 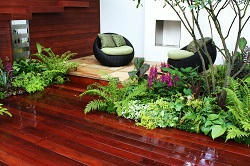 At London Gardeners we don’t just offer our customers’ unbeatable price deals, we also offer an excellent level of service. 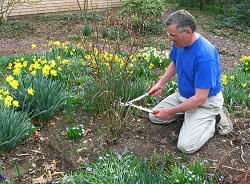 All of our gardening professionals are trained to the highest of standards and have many years of on the job experience. With a hard-working attitude and a friendly demeanour, our gardening experts are the best in the area. So if you need any gardening or landscaping work to be carried out in the KT6, BR2, TW14, RM18, KT9, RM13, TW7, RM10, TW16 or TW10 areas, call our friendly gardeners on 020 8434 7256 today.